Is it safe to use cosmetics containing nanoform silica? Context - The commercial use of nanomaterials is fairly new, and while it may offer promising and beneficial applications, it also raises questions about its safety. Is nano-silica in cosmetics dangerous? GreenFacts was contracted to prepare this summary by the DG Health and Food Safety, which authorised its publication. See this publication on europa.eu . Something is in 'nanoform' when particles of that substance are less than 100nm in size (a nanometre is a millionth of a millimetre). To put it into perspective, around one thousand nanoparticles could fit across the width of a single hair. Nanoparticles are unintentionally produced through many industrial and domestic activities, like cooking, manufacturing and the use of internal combustion or jet engines which release nanoparticles into the atmosphere. Added to that, nanoforms are now intentionally engineered for commercial and other purposes, and people are therefore increasingly exposed to them through a variety of sources. Silica itself includes a broad range of minerals, all made up of the two common elements in the earth's crust – silicon and oxygen. Silica includes quartz, used to make glass, and it is also sold as sand and processed for many uses, like manufacturing building materials. The types of silica discussed here are forms of synthetic amorphous silica (SAS) nanomaterials including Hydrated Silica, Silica Sylilate and Silica Dimethyl Silylate, which are used in leave-on and rinse-off cosmetic products, including hair, skin, lip, face, and nail products. 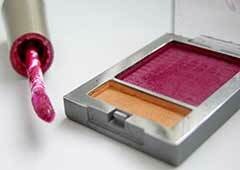 Why is silica in nanoform used in cosmetics? Nanotechnologies open new possibilities for innovation. Silica in nanoform is used to enhance the effectiveness, texture and shelf-life of various products. It can add absorbency and act as an anti-caking agent, for example, and can even be used to help to release active compounds over time. The commercial use of nanomaterials is fairly new, and while it may offer promising and beneficial applications, it also raises questions about its safety. Why is there concern about nanoform silica in cosmetics? The specific concern regarding the use of nano-silica in cosmetics is that nanoparticles might penetrate the skin and end up in internal organs or the bloodstream - and that they might be toxic. That's why the European Commission asked the Scientific Committee for Consumer Safety (SCCS) to assess the safety of silica in nano form because of the potential high exposure through many types of cosmetic products and the potential for nanoparticles of silica to enter cells. The SCCS examines company dossiers as well as peer-reviewed published studies whenever there is a concern about the health and safety risks of non-food consumer products, including cosmetics. This Opinion on nanoform silica is part of the safety assessment of nanomaterials in cosmetic products. Will I know if my cosmetic product contains nanoform silica? Yes. The cosmetics industry has been required by EU legislation since 2013 to give the Commission six months' notice (through the CPNP-Cosmetic Products Notification Portal) before introducing any cosmetic product containing nanomaterials on the market. Cosmetic companies are also required to provide specific data relevant for safety assessment purposes. In addition, cosmetic companies are required to list any nanomaterial on their products’ label by stating the name of the ingredient, followed by 'nano' in brackets. Whenever the Commission has a concern regarding the safety of a nanomaterial notified through the CPNP, a safety assessment of that material is performed by the SCCS. The SCCS found no proof that nano-silica penetrates the skin or is toxic but also did not find enough evidence to rule out those possibilities. More data are necessary before it can be declared safe or unsafe. In particular, more evidence is needed to ascertain the absence of dermal penetration of nano-silica, especially through damaged skin. In case there is internal exposure, there would also be a need to exclude potential genotoxic, carcinogenic and reproductive effects. When new data become available, the SCCS will again review the safety of nanoform of these silica materials.